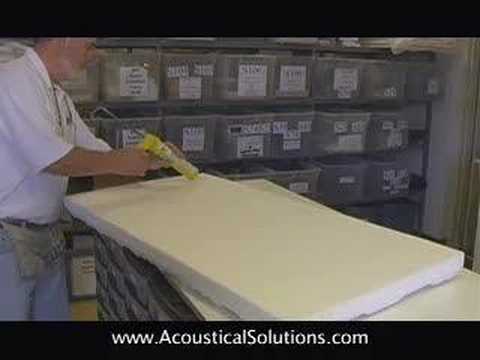 Acoustical Solutions installs acoustical foam panels using adhesive to secure the panel to the wall. Video includes an instructional voice over. Acoustical Solutions installs sound absorbing Sonex® Foam Acoustic Panels in a home video studio. Acoustical foam is one of the most popular and effective noise control products. 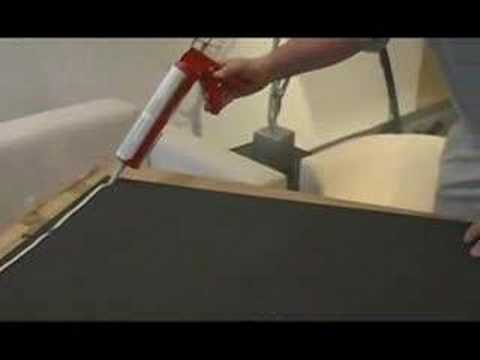 HPC is a high-performance coating that is applied to acoustical melamine foam base. Our exclusive water based HPC formulation improves durability and protects the acoustical foam from dust and dirt, allowing the surface to be cleaned using a damp cloth. The HPC coating is especially appropriate for use high-traffic areas. HPC Premium extends the HPC coating further by offering a line of brilliant colors from which to choose. Coating is applied to the panel face and edges. The coating will be applied to all exposed edges and sides. All necessary edges will be coated to provide a finished appearance. Are custom HPC colors available? Custom HPC colors are available. Popular paint brands may be combined with our exclusive HPC formulation to produce unique designs for any project. To produce an order for custom HPC colors, please be aware of the following. 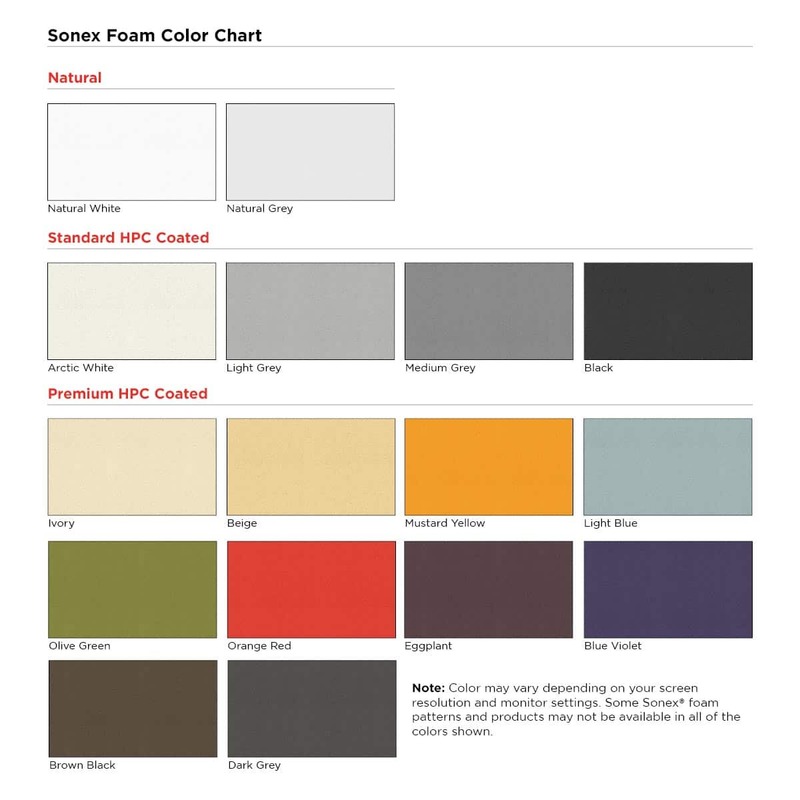 There is a minimum requirement of 700 square feet of Sonex® Acoustical Foam. We require the brand name, paint color and number. There is a setup fee is for each custom color. We require a deposit for the order. Customers with an order for custom HPC colors will receive a sample to approve prior to producing the order. Quantity discount pricing is shown in your cart. 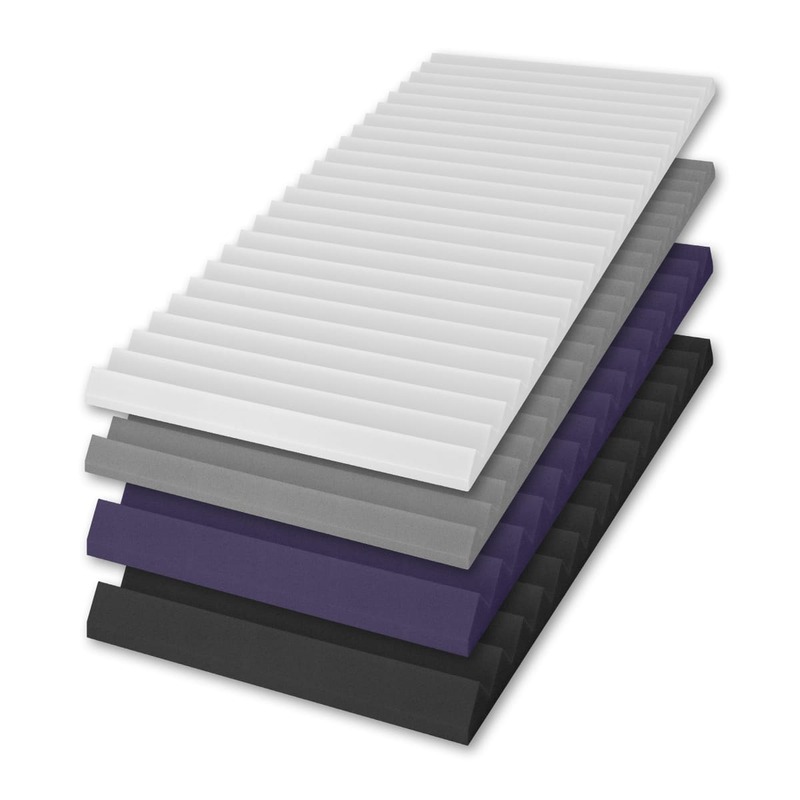 Sonex® Tec Wedge Acoustic Foam provides powerful acoustical control with a linear look for use in a range of sound control applications. 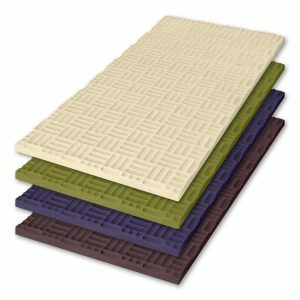 The anechoic wedge design provides increased surface area for superior sound absorption with an attractive aesthetic. 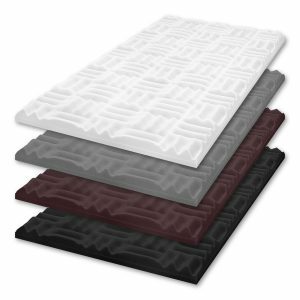 Sonex® Tec Wedge utilizes a Class 1 fire-rated acoustical foam substrate to provide sound absorption. 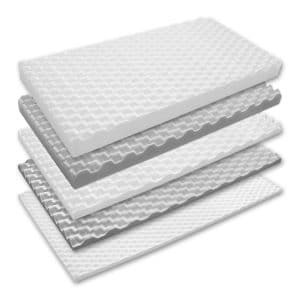 This material is suitable for use in public and private facilities. The Tec Wedge pattern easily installs to create a horizontal or vertical linear design. 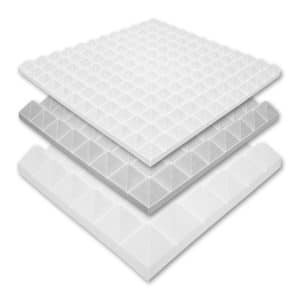 Sonex® Tec Wedge Acoustic Foam is available in natural grey or natural white colors. HPC coating is available to provide durability and a splash of color. HPC coating is applied to the panel face and edges. 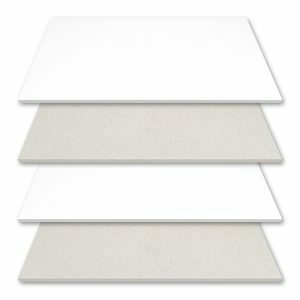 These acoustic panels easily mount to any wall or ceiling surface with a water-based construction adhesive. 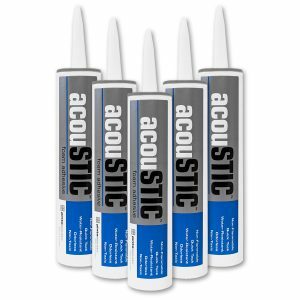 These panels mount easily to any wall or ceiling surface with water-based construction adhesive. For best results, install this product at the end of your construction project. Use clean gloves to prevent soiling material. Melamine foam is fragile, please handle with care. Do not install material of unacceptable quality. 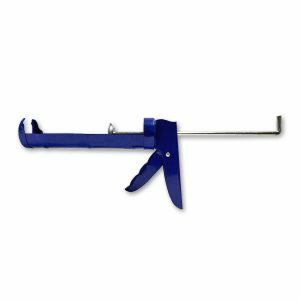 call us at 800.782.5742 or contact our sales department. HPC Coatings cover the panel face and edges.